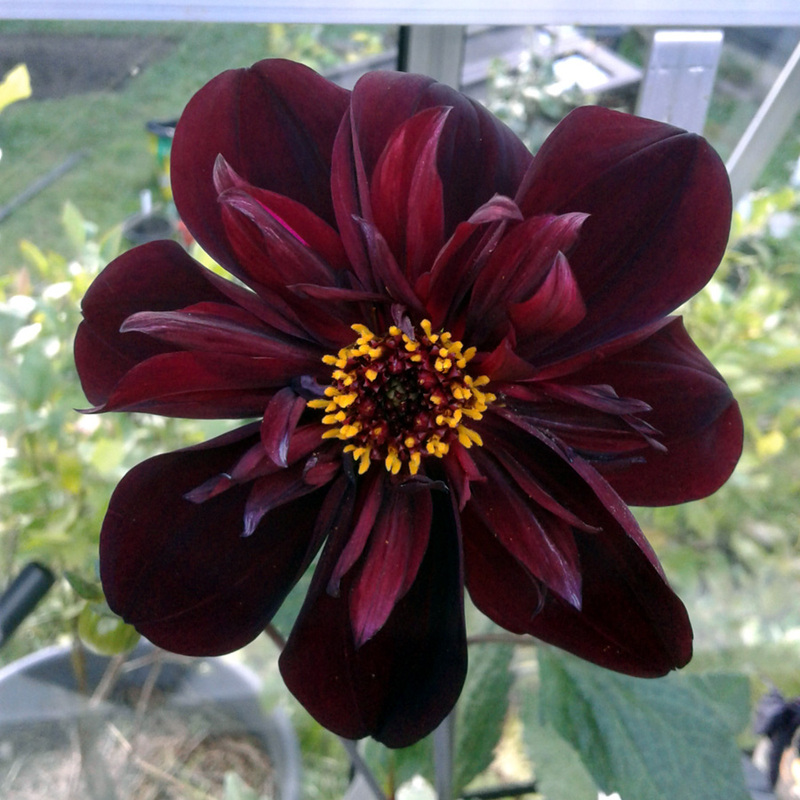 A timely reminder from Monty on last week’s episode of Gardener’s World sent me down to the greenhouse yesterday afternoon to check on our stock of over-wintered Dahlia tubers. 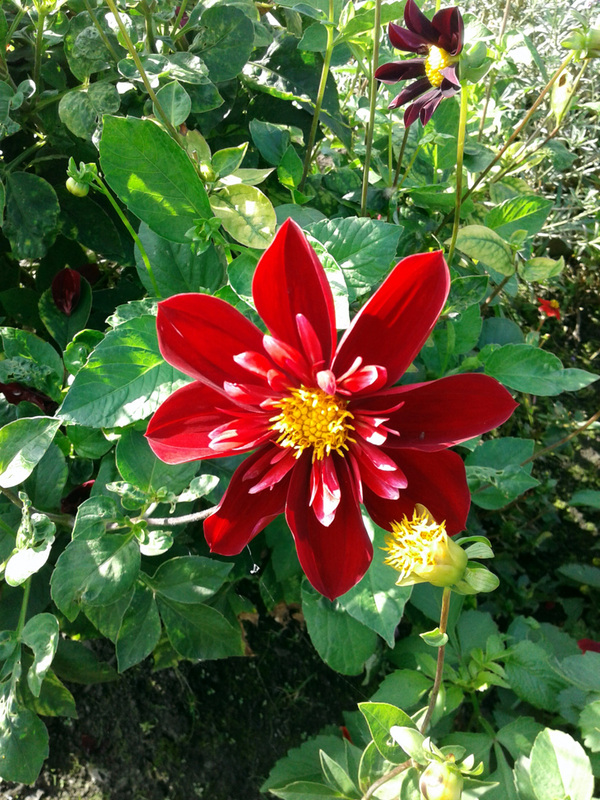 Dahlias are perennial plants that over-winter by storing sugars in large tubers below ground. 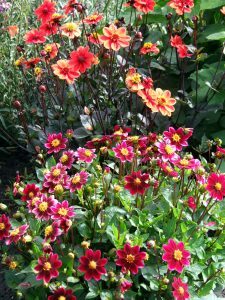 But these tubers aren’t particularly frost-hardy or water-proof, so they do require protection to get them through the wet British winter. 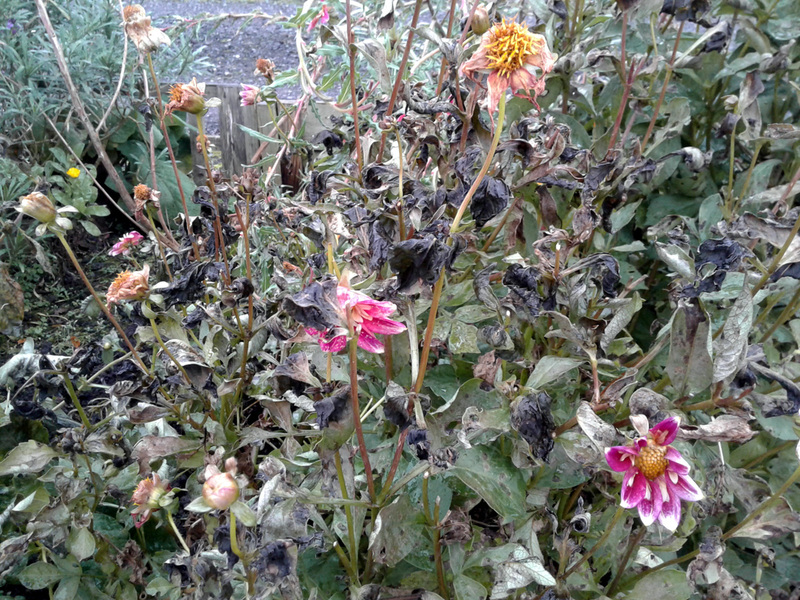 So they were dug up, dried out and potted up in spent compost last November, just after the first frosts killed off the foliage. 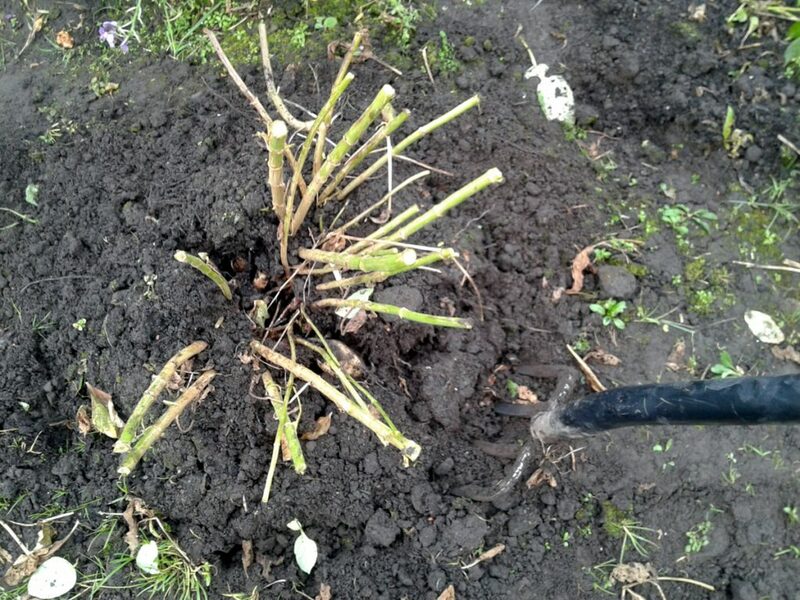 Tip out your tuber, compost and all, for a quick once-over. 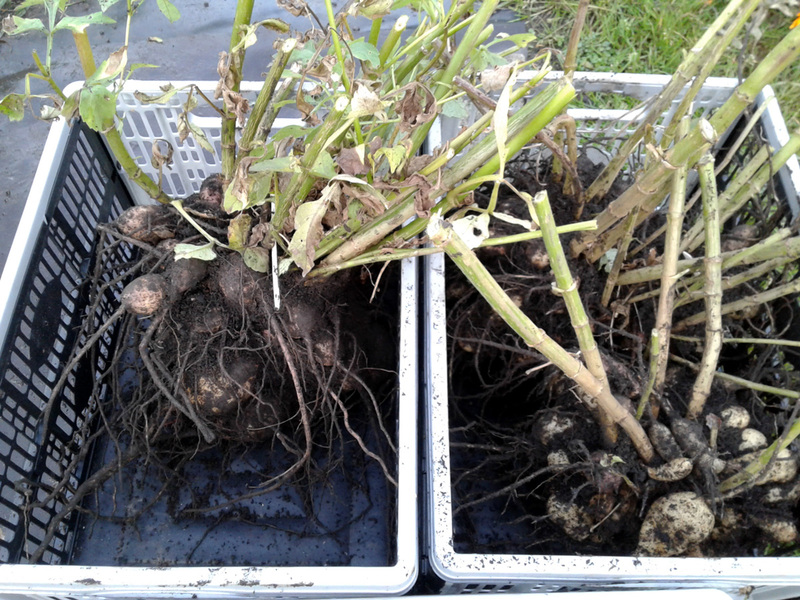 Start by tipping the Dahlia tuber clusters out of their storage tubs, and have a look for any obviously rotten, shrivelled or split tubers. 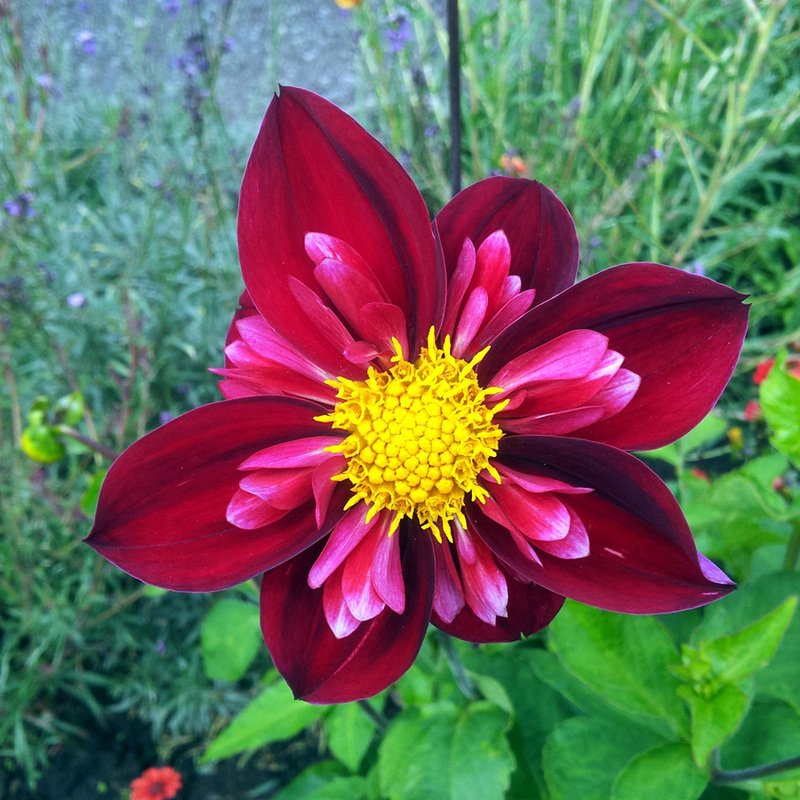 Remove those, either by very carefully cutting them away with a sharp knife, snipping with secateurs, or gently twisting the affected tuber, which carries less risk of accidentally damaging healthy tubers. 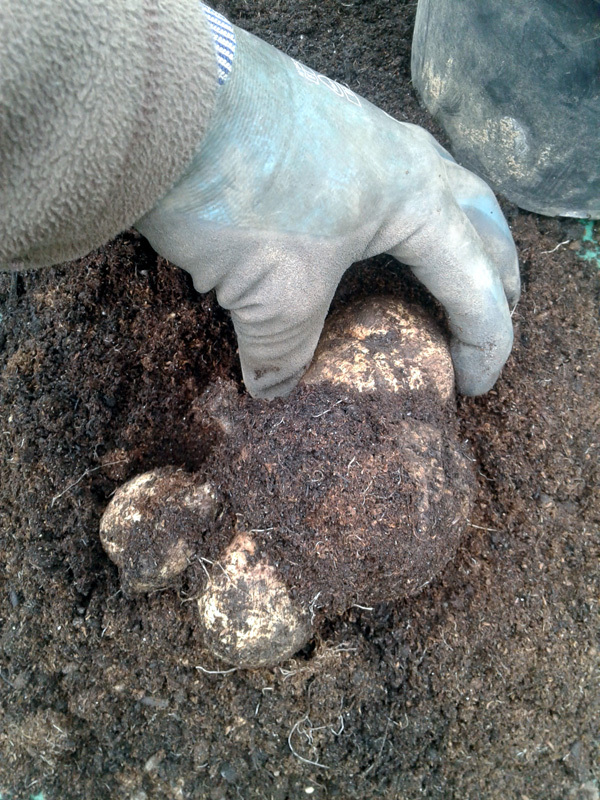 Give every tuber a firm squeeze to check for non-obvious softening, or outright rotting. 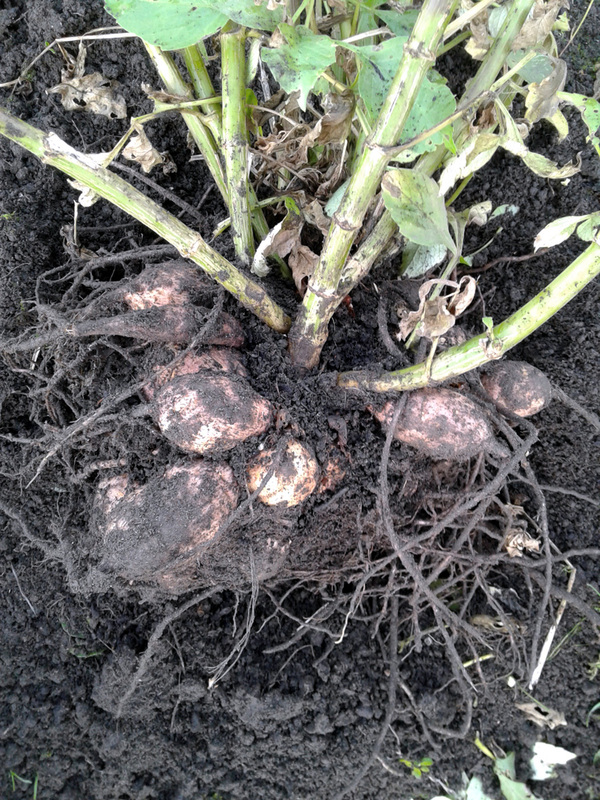 It’s important to check every singly tuber in the cluster, in case there’s one that looks fine but is actually rotten beneath its skin. 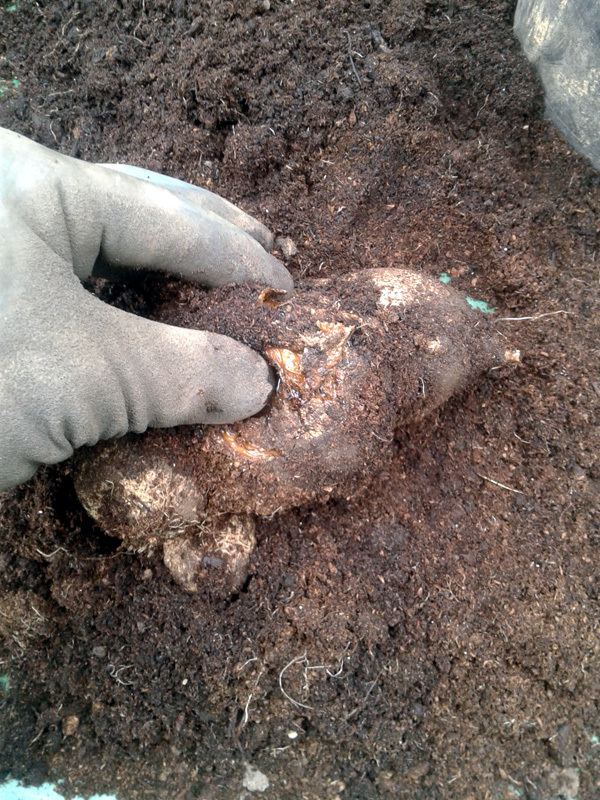 Give every tuber a squeeze to make sure it’s firm and healthy, once again removing any of them that aren’t. 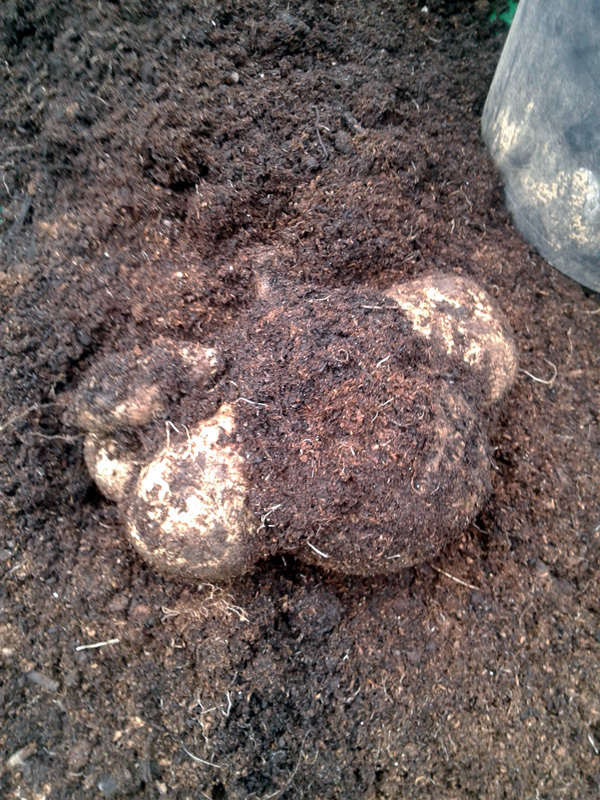 Remove the rotten or damaged tuber sections and re-pot the remaining plant. 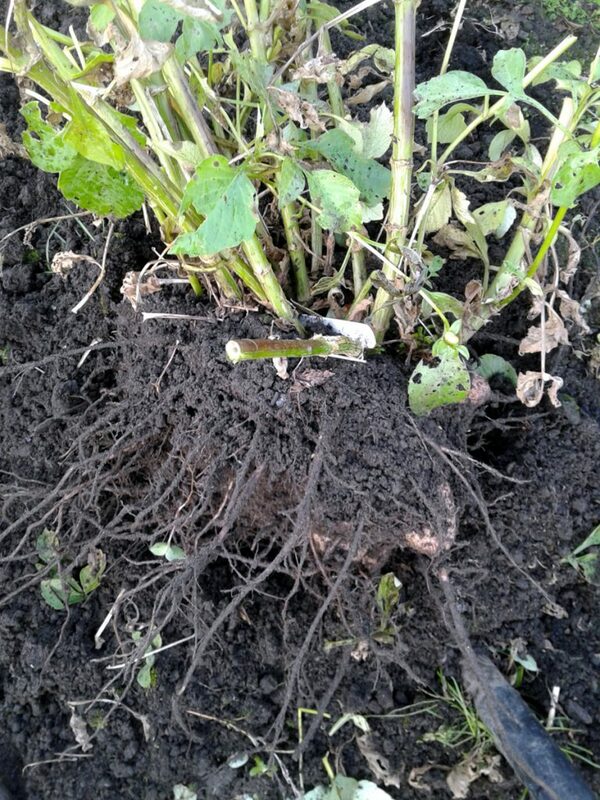 Once you’ve cut, snipped or twisted off any dead or diseased material, you should be left with a clump of healthy tubers, attached to a section of stem. 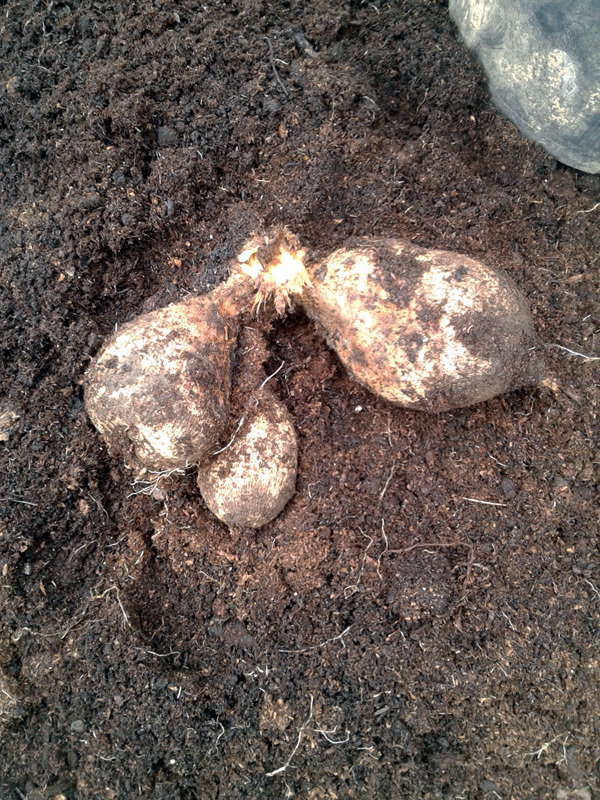 At this point, you can also divide large clusters of tubers. Sometimes they split and separate during the checking and cleaning process. Otherwise, a bit of gently pulling might reveal a faulty line that you can take advantage of. As long as the section you break off includes one or more storage tubers and a section of the stem / growth node part of the plant, then you should be be able to pot it up and grow on a whole new Dahlia plant from it. We started off with five or six bought-in tubers and over the past couple of years have increased our stock to around two dozen plants. 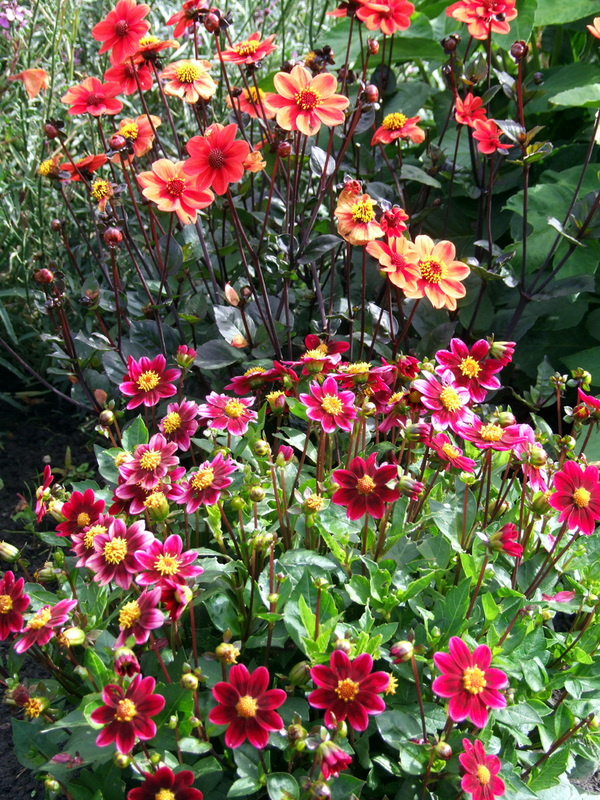 Re-pot each tuber into a mixture of spent and fresh compost. 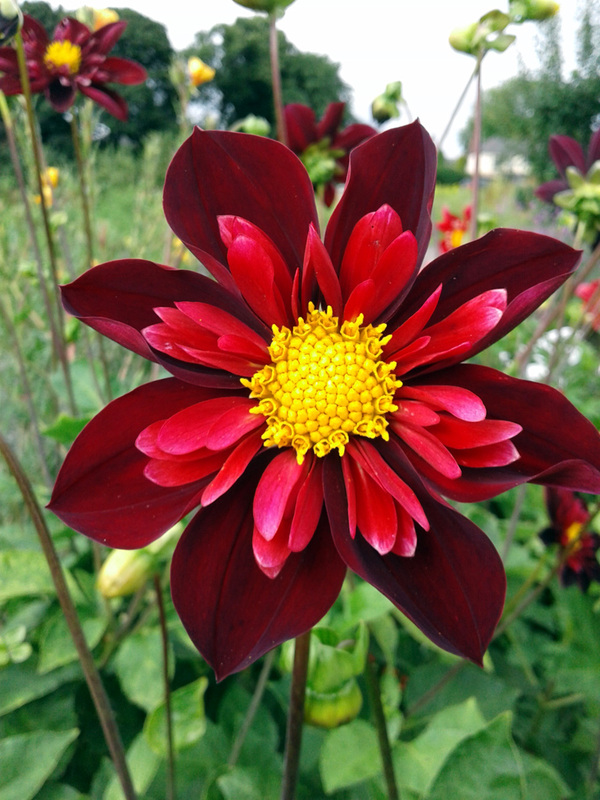 You can use all-fresh compost, which isn’t a bad idea if you’re planning on keeping the Dahlias in pots year-round, but I’ve found found that if you’re planning on planting them out when all risk of frost has passed then a 50:50 mix of spent – you can re-use the over-wintering compost – and fresh is fine. 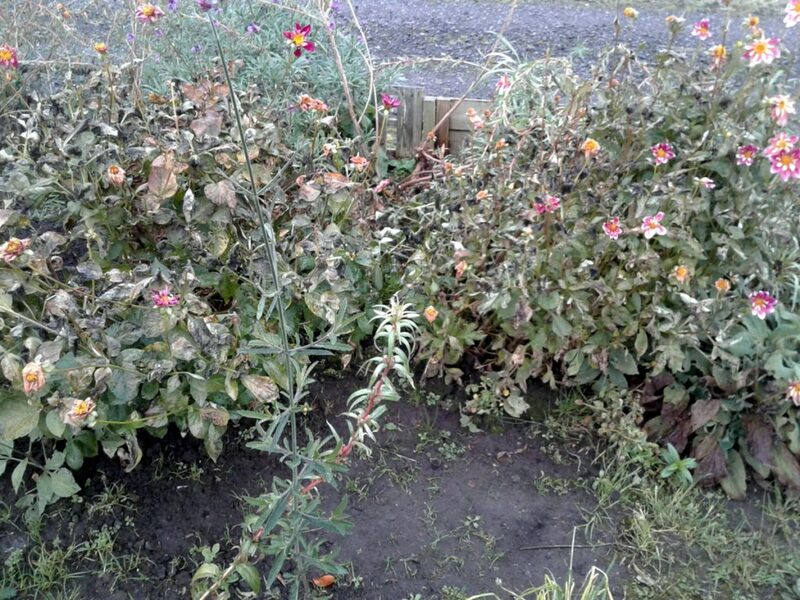 Once the plants go into the ground they’ll be able to draw on the nutrients in the soil. Hopefully your efforts will be rewarded with a glorious display of dazzling Dahlias from mid-summer right through to Autumn! 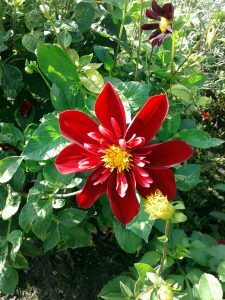 Successional growing – staggering the sowing and planting of crops – is a great way of to extending the harvest over a longer period and avoiding those “help, I’ve run out of chutney recipes” gluts. 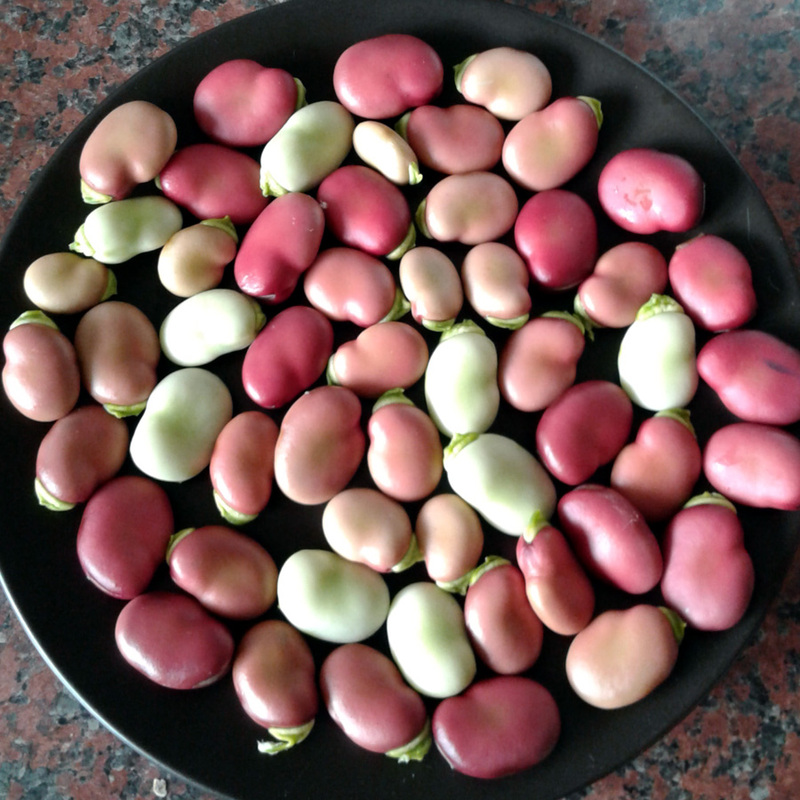 It tends to work best either with fast-maturing crops like salad leaves or radishes which, with a bit of experience and also luck, can be sown every few weeks so that just as one batch has been harvested, the next ought to be ready to pick. But it doesn’t always work for slower-growing crops, which can often just sulk when the weather is poor and then put on a burst of growth and catch up when the weather improves. I’m thinking beans, courgettes, that sort of thing. Another successional method, which does work well for slower-maturing crops, is to extend the season by over-wintering hardier varieties; sow and plant out in autumn, provide protection against winter frosts and/or rain, then watch them grow like the clappers as soon as spring rolls around. 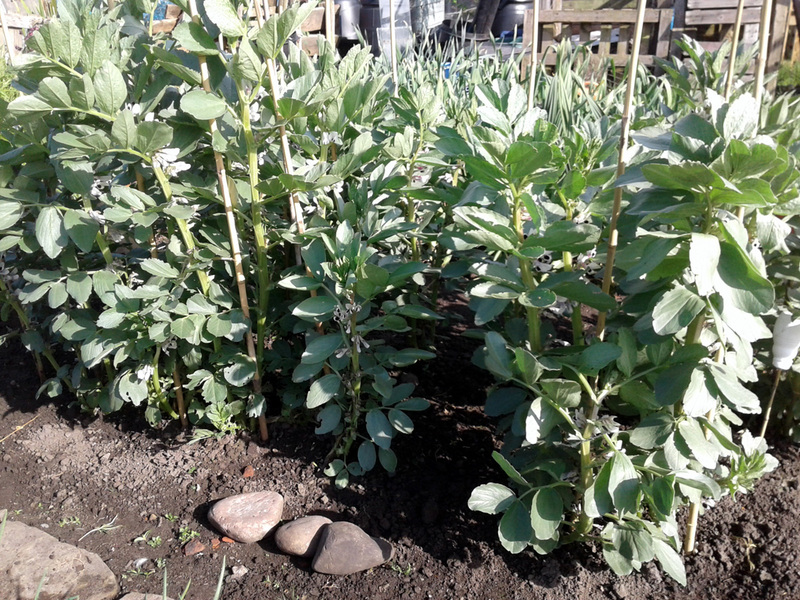 These bean plants are much further on than their spring-sown cousins. 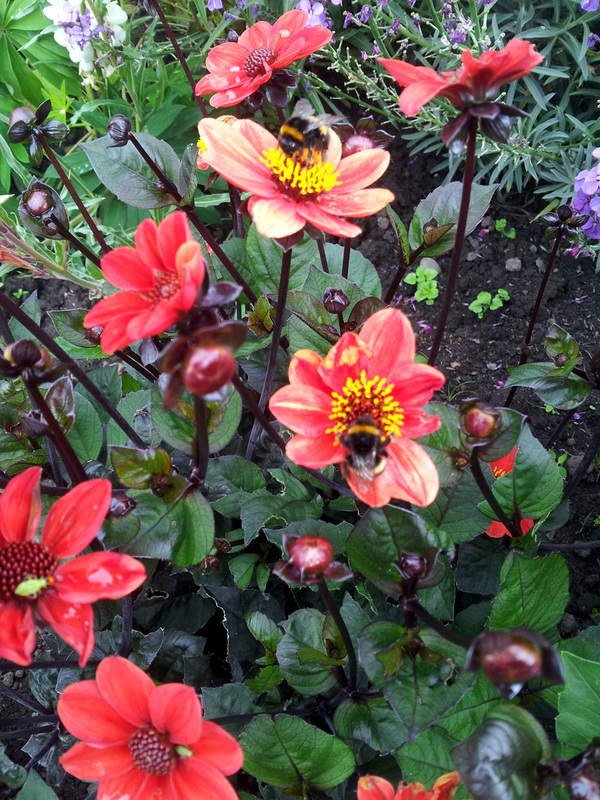 They’ve already flowered and are setting beans, and we’ve been picking the leafy tops as a bonus veg crop as well. 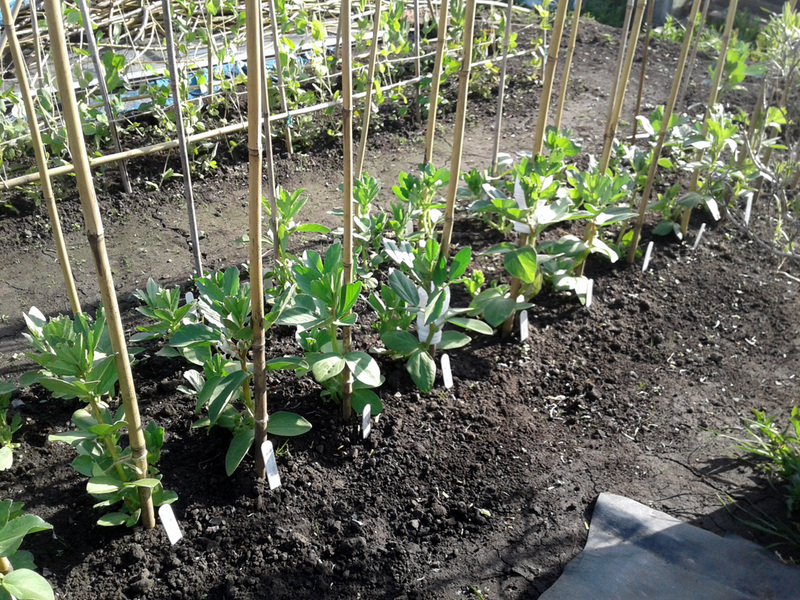 These spring-sown broad beans will come in later than the overwintered ones, extending the season. 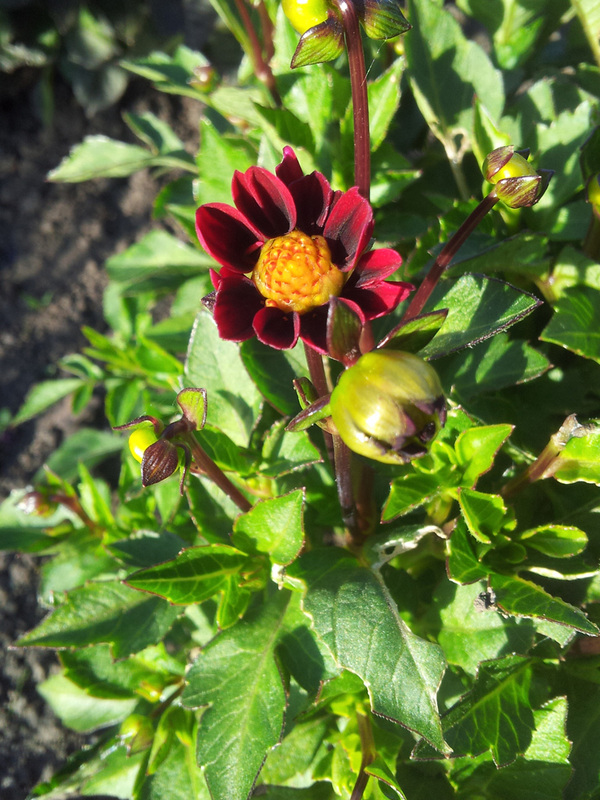 They’re just about starting to flower but they’re a good few weeks behind the over-wintered batch. That should mean the beans are ripe much later, so we might have had a chance to eat all the over-wintered ones before the new ones are ready. Other crops with cultivars that over-winter well, or that can be harvested in the winter months, include onions, cabbages, kale, leeks, peas, sprouting broccoli, brussels sprouts, parsnips, carrots and of course garlic. 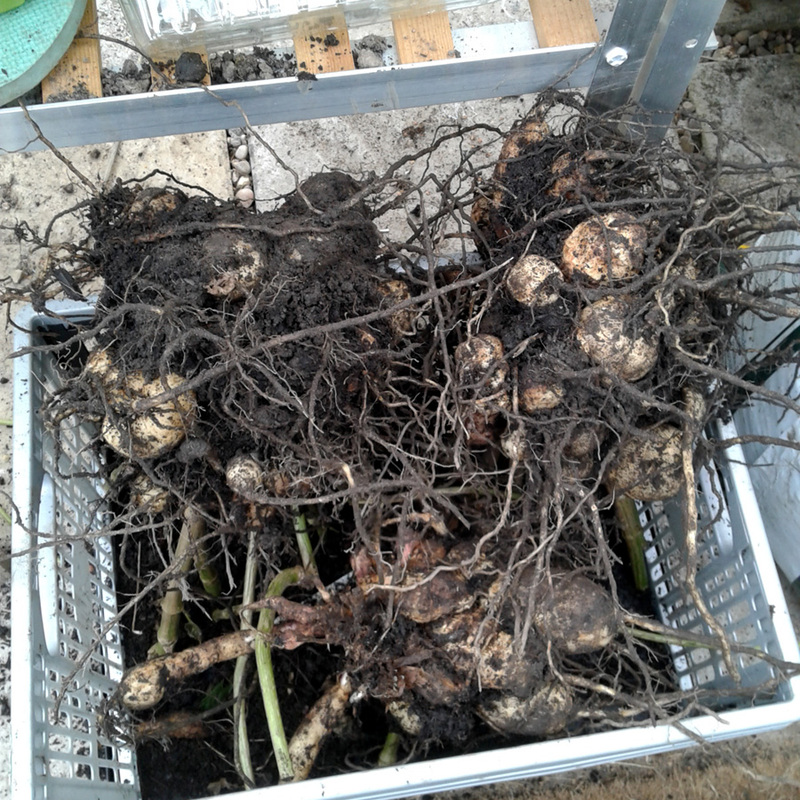 We always plant our garlic and elephant garlic cloves in September as a couple of sharp winter frosts will help the bulbs to form properly. 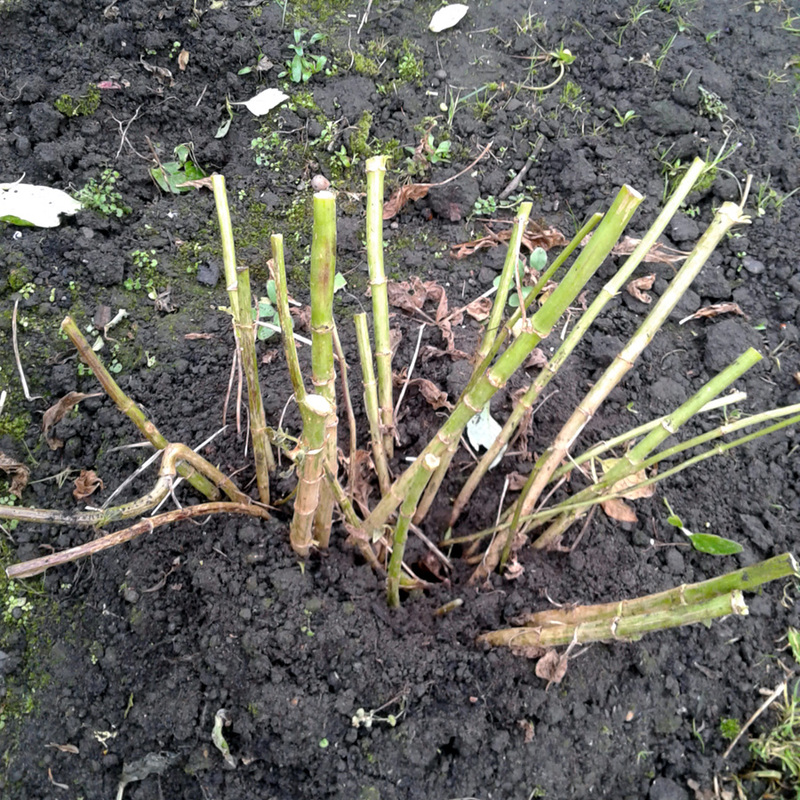 The same goes for strawberries; the best time to plant them out is in the Autumn. How about you? 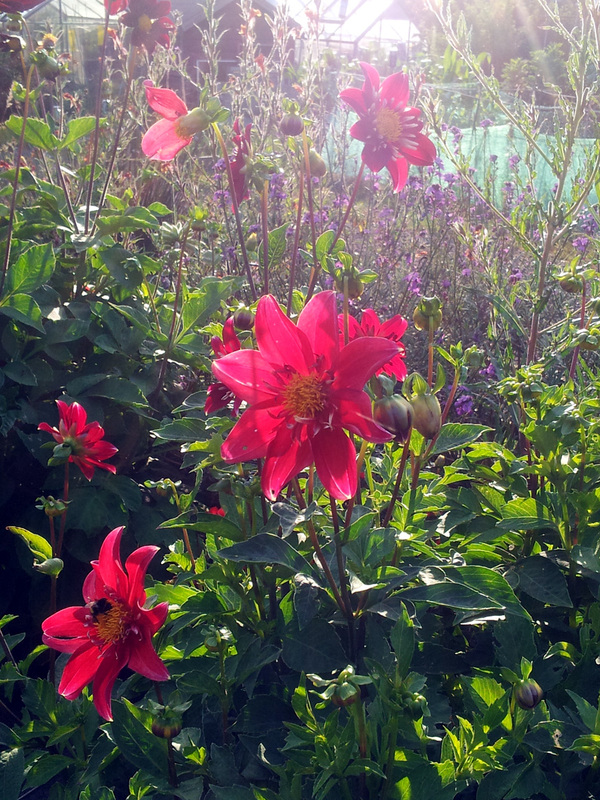 What have you over-wintered from last year and is it doing well? Let me know via the comments, below.